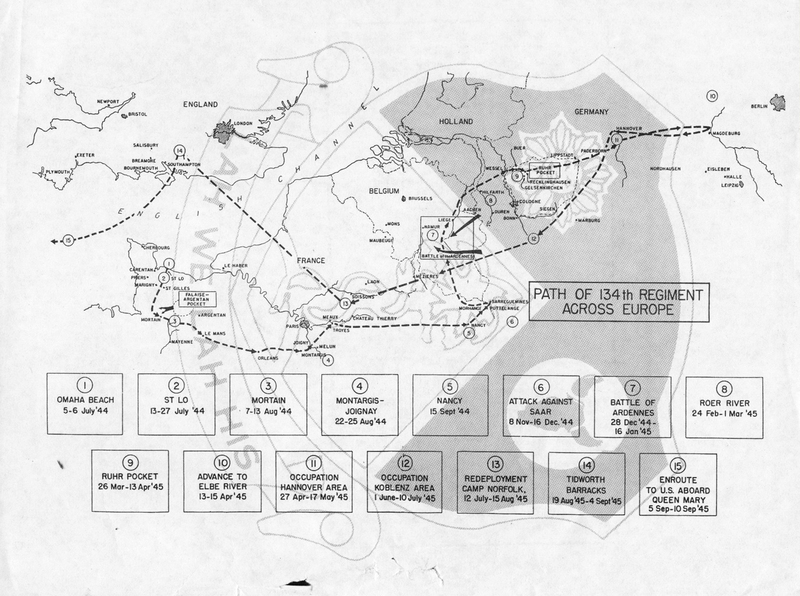 This file contains the command post locations of the 35th Infantry Division during World War II in Europe in 1944-45, along with all the pertinent information about their activities while in these vicinities. Thanks to Charles Buckner for creating this Google Earth File. He is the nephew of Pfc. Vallie Buckner of Company K, 320th Infantry Regiment. 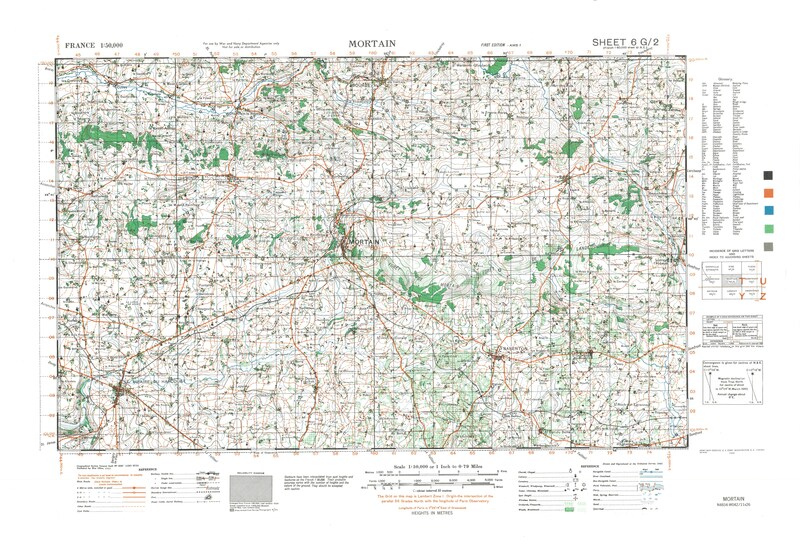 These are detailed topographical U.S. Army maps produced during WWII. The sheet numbers and map coordinates match those found on Morning Reports, Intelligence Reports, and other official documents. 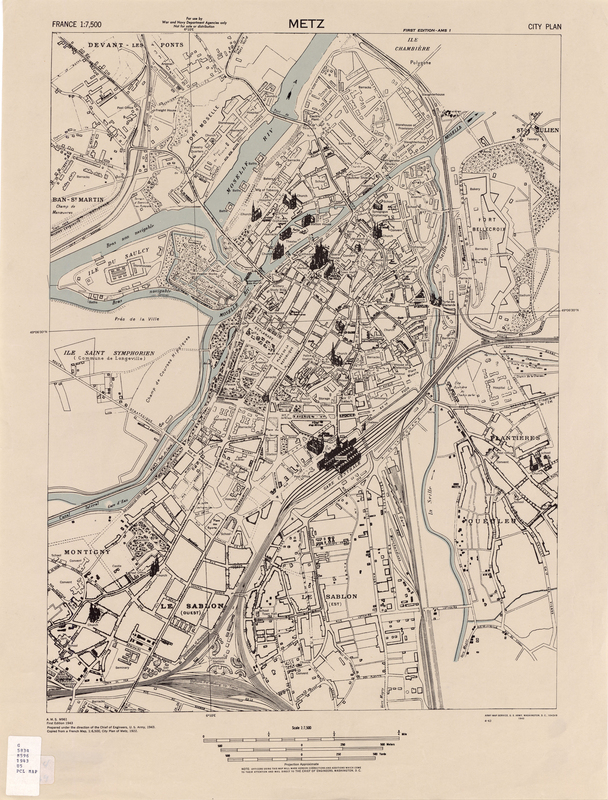 Currently only a limited number of maps are available on this website. Other AMS maps can be obtained from the Cartographic section at the National Archives in College Park, MD. You can use Morning Reports to track a Company's daily location with these maps. For example, the Company D, 134th Infantry Regiment Morning Report for January 10, 1945 lists Company D's Station as Sainlez, Belgium with a coordinate of P5549 and the map used as Bastogne Sheet 121. Looking at Bastogne Sheet 121, number 55 corresponds to the coordinate numbers that run along the top of map and the number 49 to the coordinate numbers that are listed along the right side. Sainlez, Belgium is near the intersection of 5549. The location listed on the Morning Report was most likely that of the Company's headquarters, but the rest of the Company was usually located close by. On Map Sheet 121 Bastogne itself is in grid square 5558. Across the top is the number 55, you take that line, go south, and it will cross the 58 line coming from the right side of the map. You read the numbers by first using the Easting Line, followed by the Northing Line. What they are are the 55 Easting Line, and the 58 Northing line, so in this case, it is grid square 5558. The Easting lines lie S-N on the map, but are read W-E. In other words, they move to the right to the next numbered line, in this case to the 56 Easting line. The Northing Lines lie W-E, but are read S-N. So Bastogne would lie in grid square 5558. Same thing with Northing lines, they would move upward to the next Northing line. In this case, to the 59 Northing line. The exact middle of that grid square would be 555585. You make 10 equally spaced marks across the bottom and side, go across 5 and up 5, and you’ll be in the middle of the square. To find the church in the SW corner of that square, under the large N and E in Bastogne, that would lie around 552582. Churches are marked with a circle and a cross on top. You can tell what kind of roads are on the maps by looking at the legend. Thanks to Pete Donatucci and Doug Drumheller for the Ardennes vicinity maps. 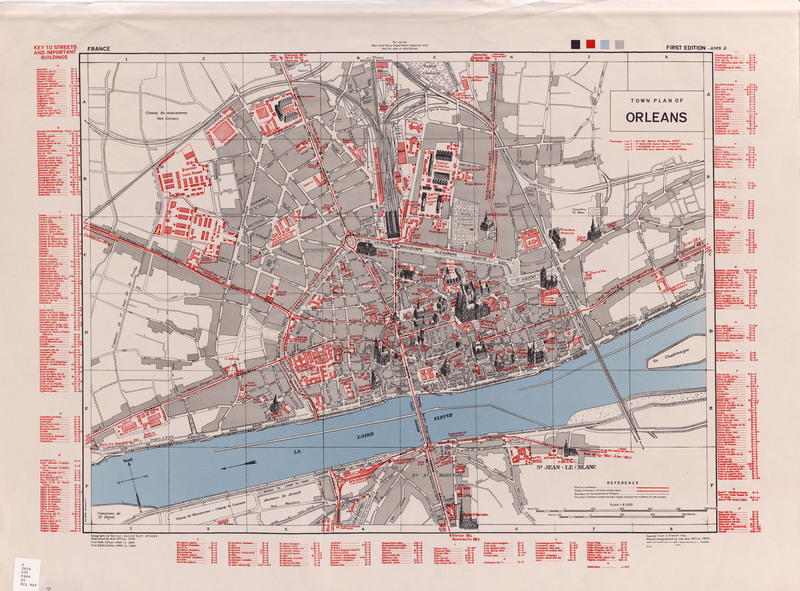 McMaster University Digital Archive - McMaster University in Ontario, Canada has an extensive collection of WWII maps available online in their digital archives.